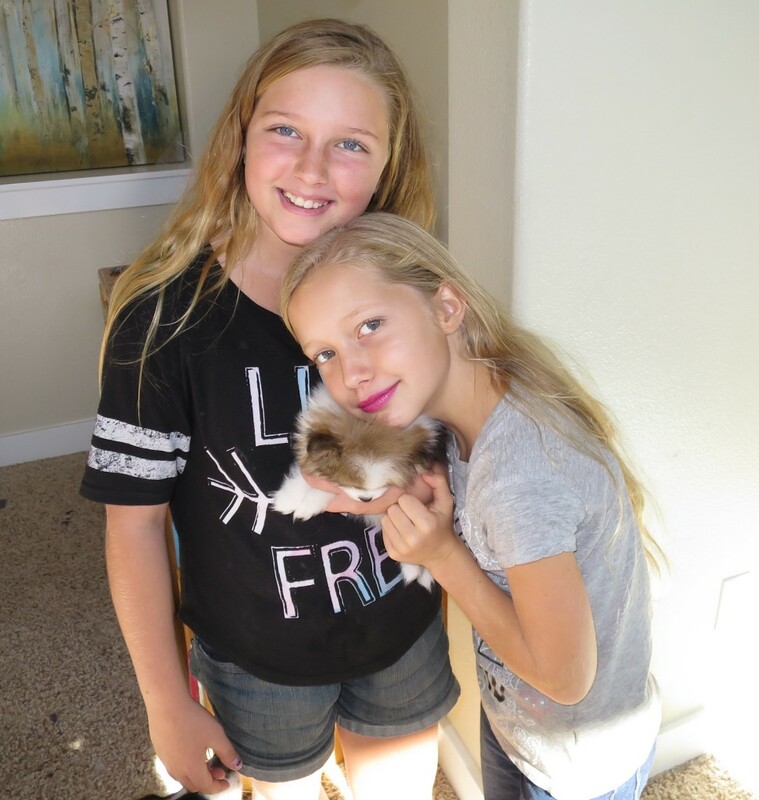 Amelie was looking for a pomeranian puppy for a while and last week some lady brought a couple puppies to church and was selling them, so Amelie and Mia pooled their money and bought one. He's a boy, his name is Hero. 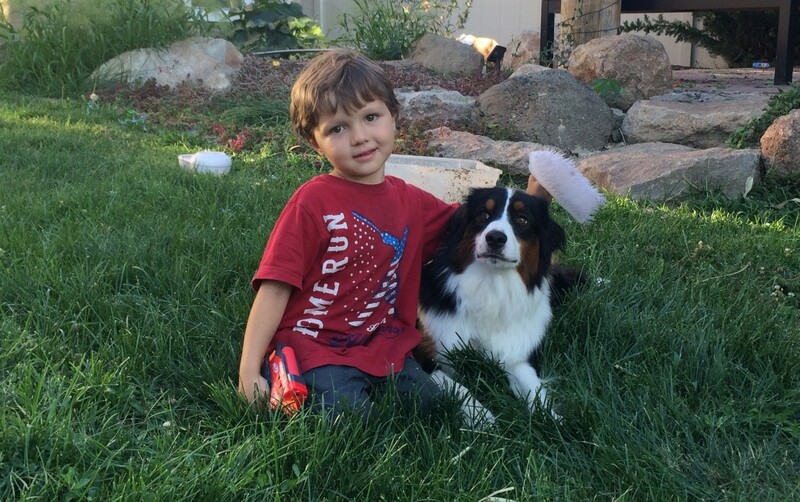 In the interest of equal time, here's Miles and Buddy, who is getting along with Hero just fine. Even the cats are okay with the puppy. 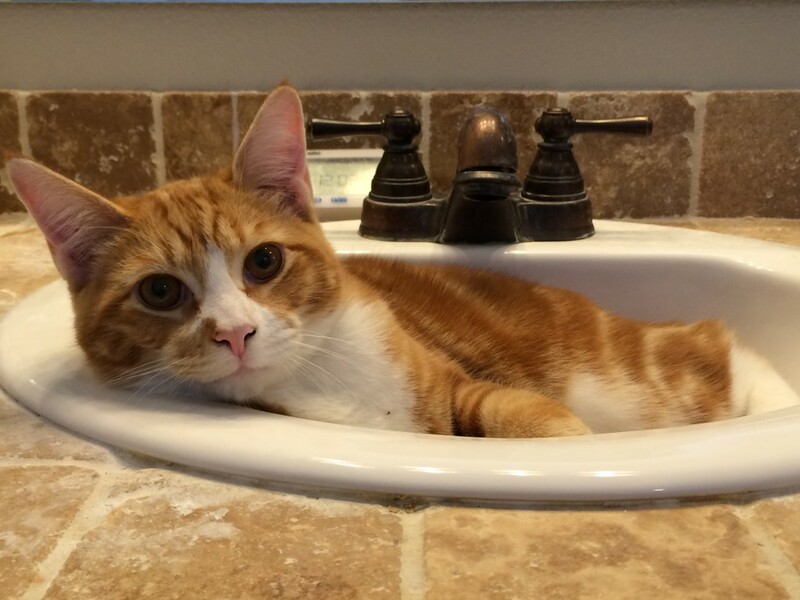 Keeping up on the pets, this is Pumpkin, he's full-grown now, and he likes to sleep in bathroom sinks. 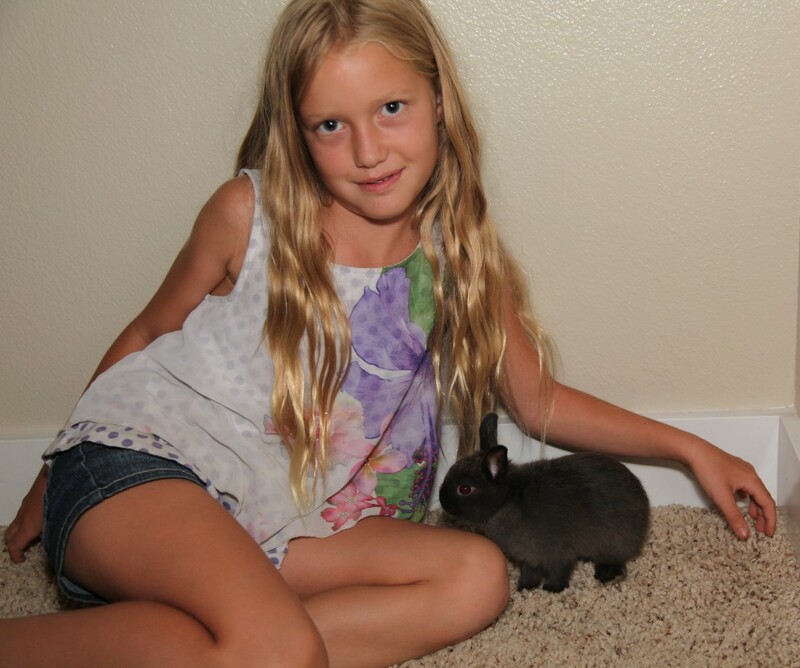 This is one of two new Netherland dwarf bunnies we got so the girls could show them at 4H. His name is Bolt. This is the other bunny, Lightning. Unfortunately, after a couple of months he died of an infection. 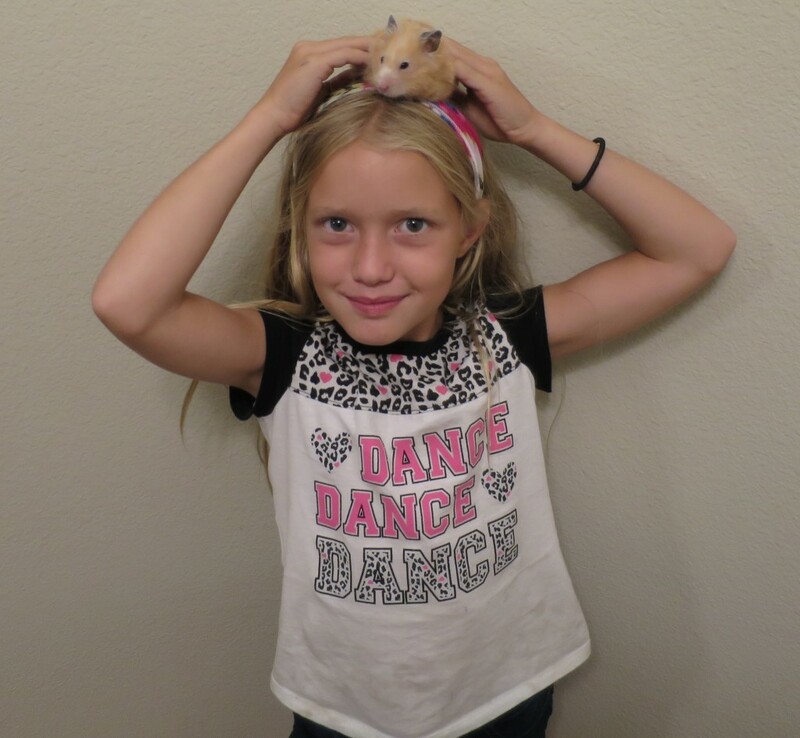 Mia with her pet teddy bear hamster Nibbles. Also unfortunately, Nibbles died last month. He was pretty old in hamster years, though. We replaced him with a new teddy bear hamster, and the new hamster is doing fine. Nibbles was pretty cool, though, and I was sad to see him go. 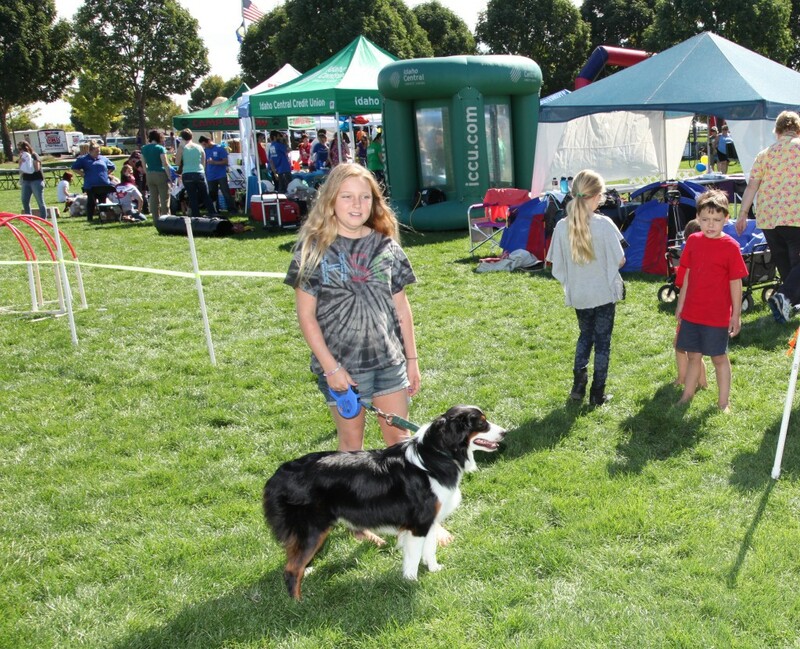 We went to a fund-raiser for dogs at a local park, and they had a cool obstacle course that Buddy had a lot of fun running through. 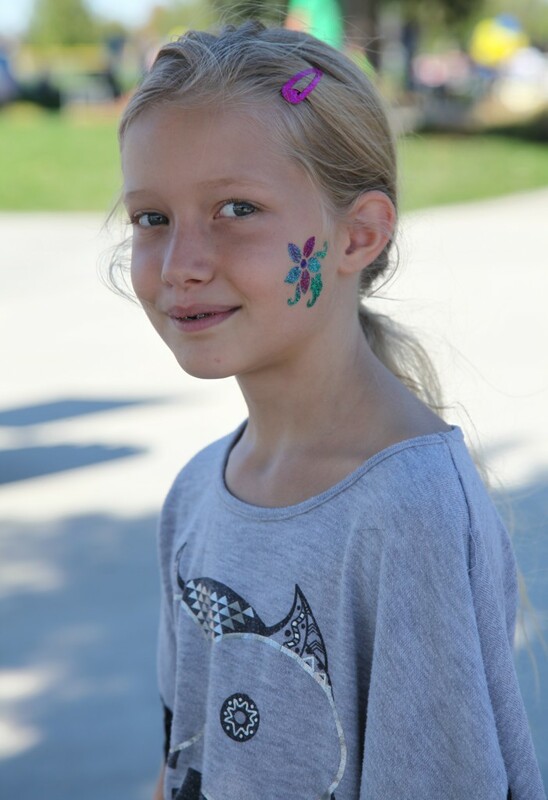 Amelie got a tattoo at one of the booths. So did Mia. The tattoos lasted forever, it seemed, for at least a couple weeks, which is pretty long for a temporary tattoo. 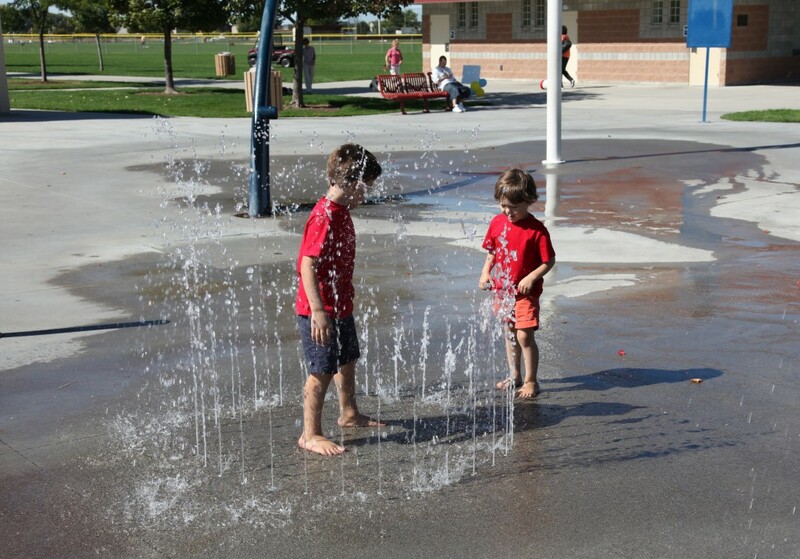 The park is pretty cool, it has a nice water play area. 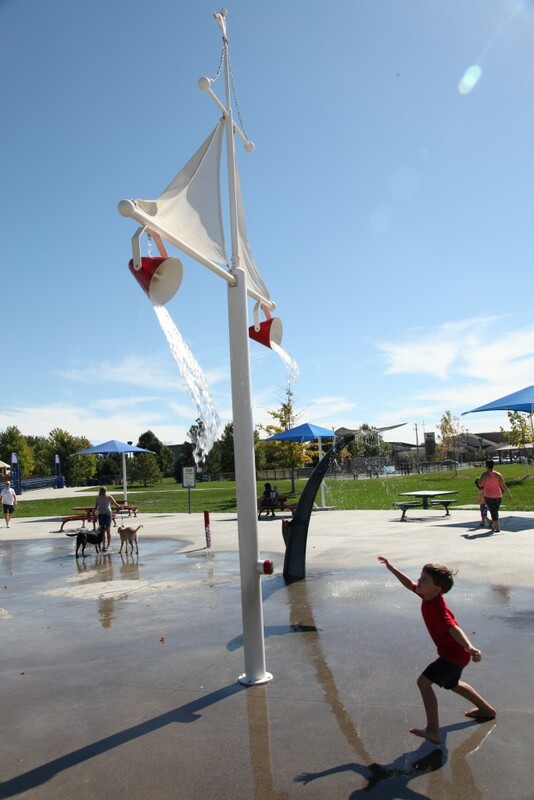 The water pails are a lot of fun, trying to time when they're going to tip. They had a lot of musical instruments you could play. 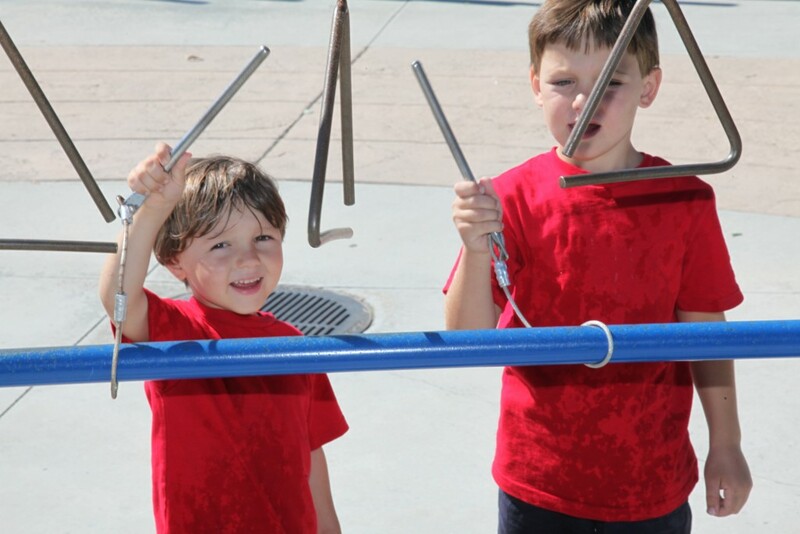 A couple of big xylophones and these triangles and a few other ones. 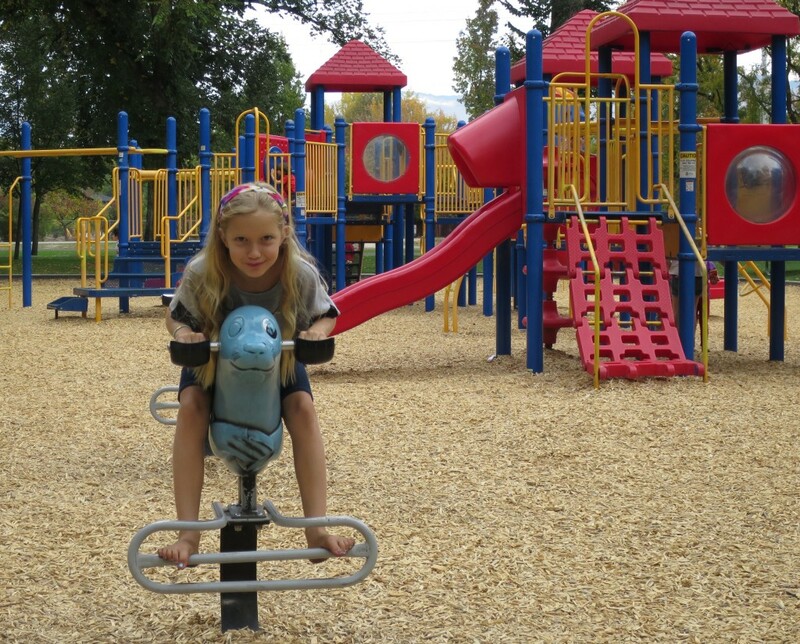 As well as the usual slides and play structures. Naomi read about a place you could go hang out on the river and swing on a rope swing, but it turned out the river was pretty gross and there was no rope swing. 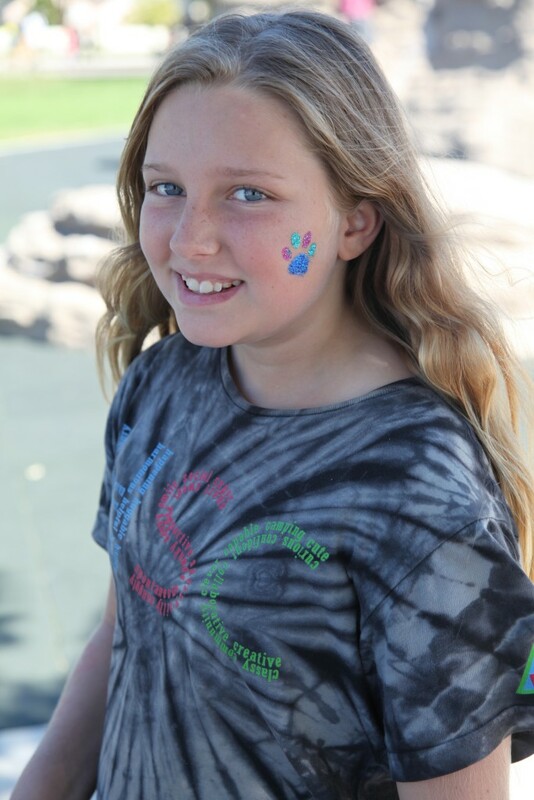 The older girl in the photo is another home-schooler named Trinity. Trinity had never seen The Matrix, so we watched it with her on our home theater, it was pretty cool. I'm not sure what these guys are doing. 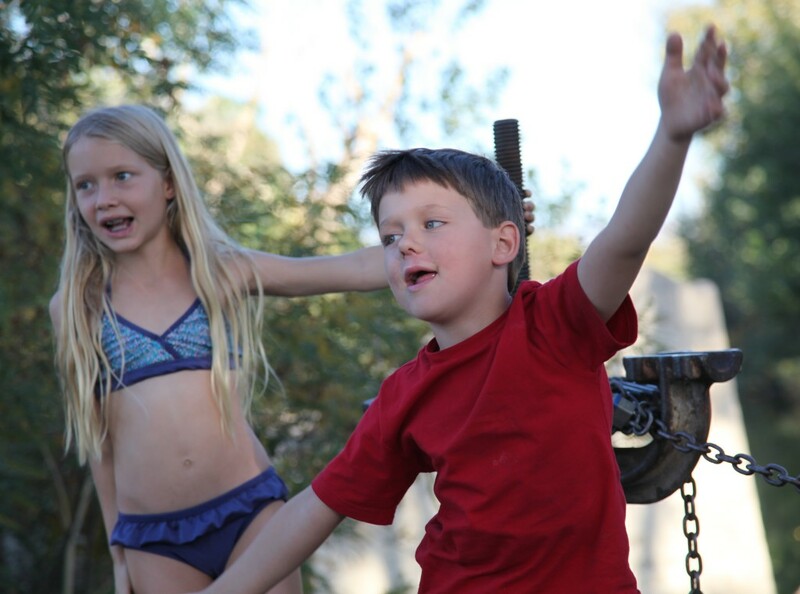 Every time you ask them to look at you for a picture they do some crazy pose. Like this pose, for instance. 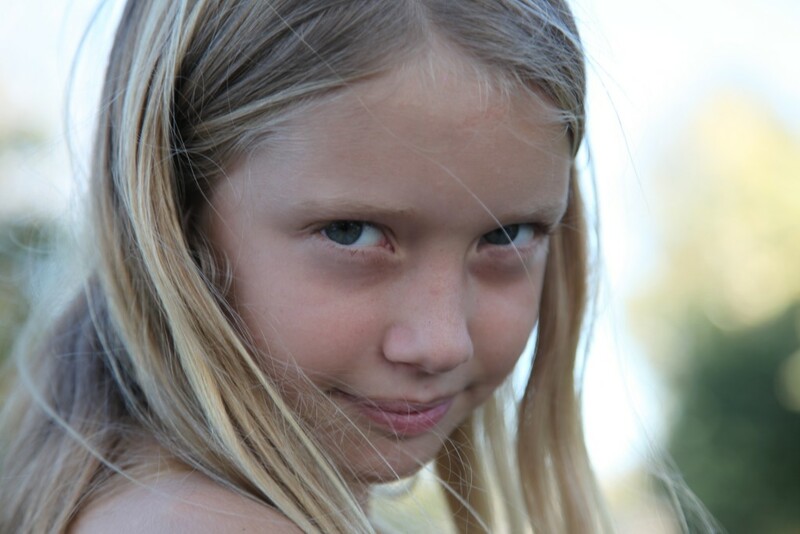 Mia's giving me her best stare-down. 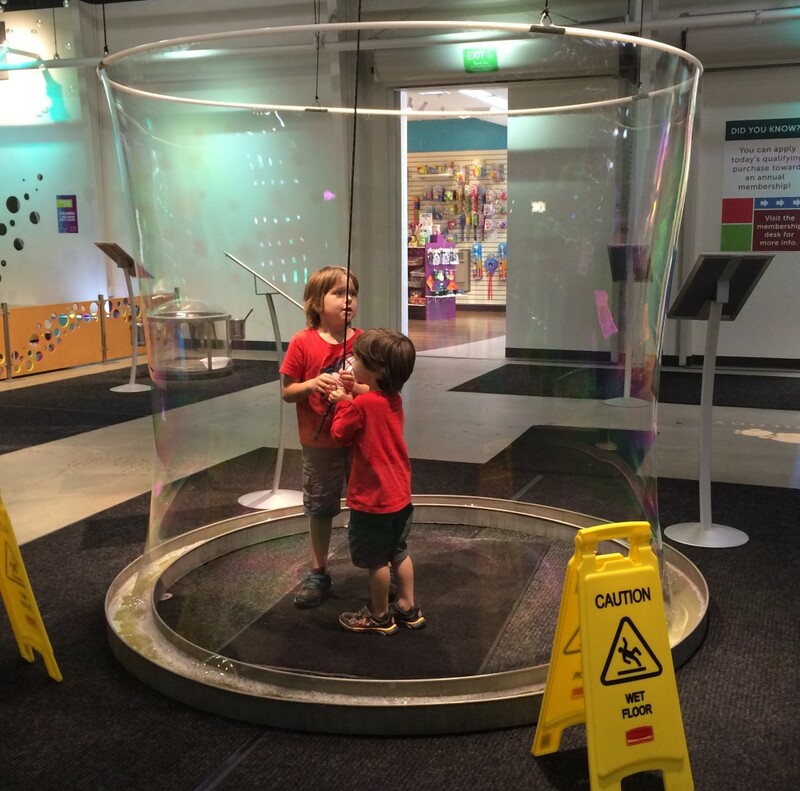 Naomi signed up for a family membership at the Discovery Center in Boise, it's pretty cool. Especially the bubble stuff. 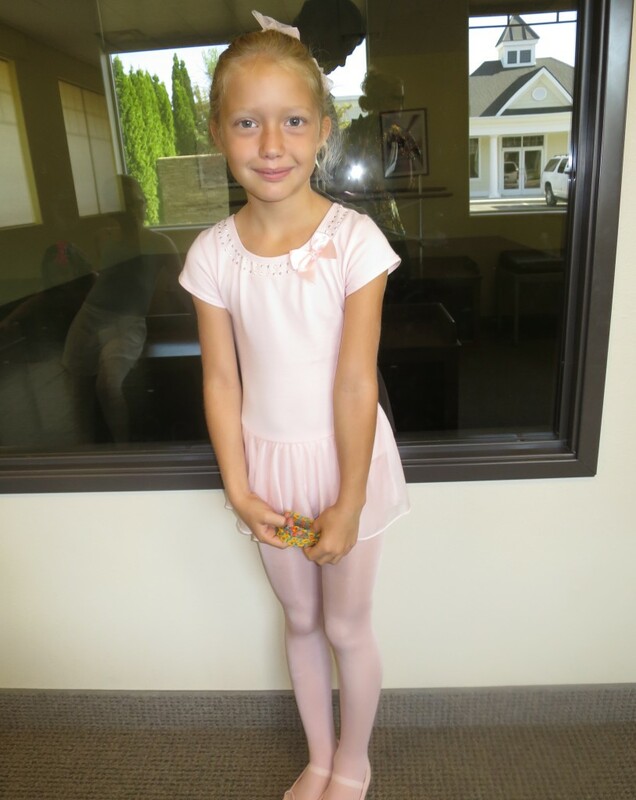 Mia did a dance camp over summer where you spend a week going every day to the studio and on Friday you do the dance you learned for your parents. Here's the video of the recital. 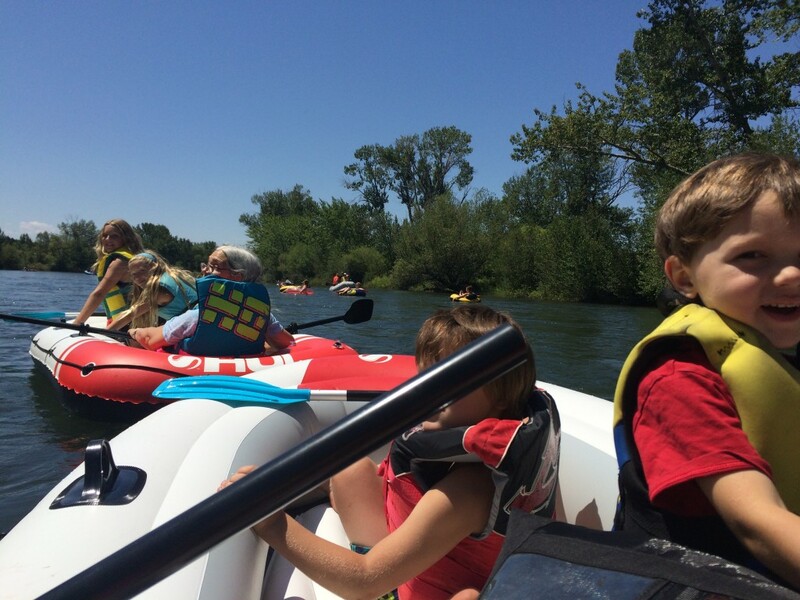 When grandma came out to visit, Naomi took her rafting down the Boise River. No casualties were reported. 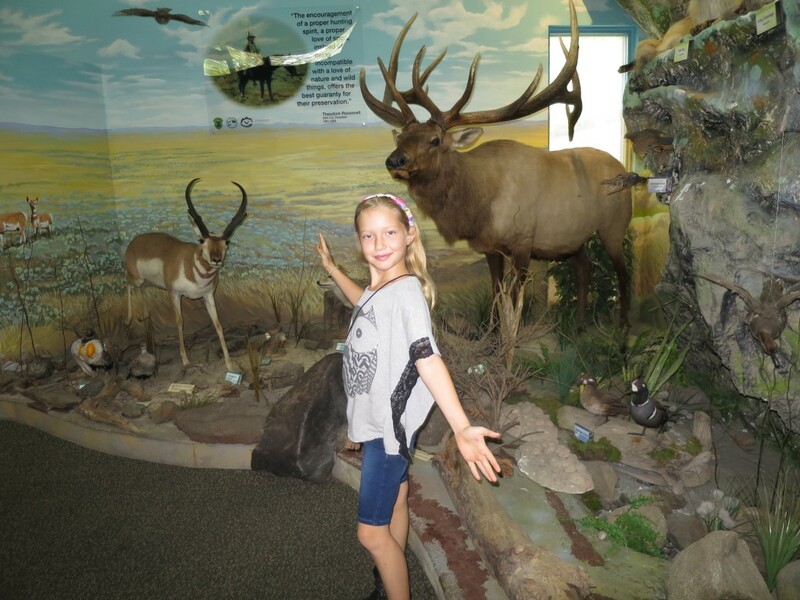 We also visited the Nature Center in Boise. It was pretty nice, they kept it in great shape. A bit too many stuffed animals for my taste. 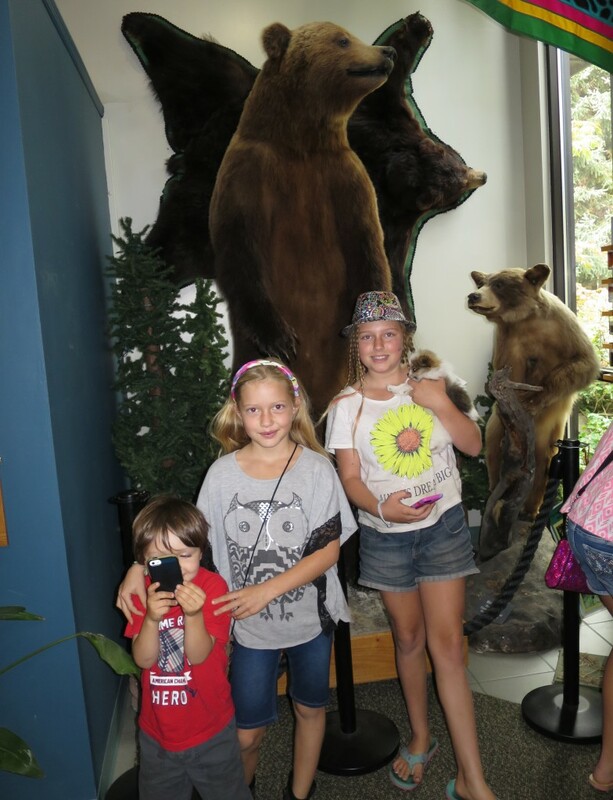 The reason for all the stuffed animals is that the nature center is very pro-hunting. There's a sign behind Mia with a quote from Teddy Roosevelt about how it's not anti-nature to be pro-hunting. In fact, it's good for the animals to be shot and stuffed and put on display. There was another sign about how much money the hunting industry generates for Idaho. It's disgusting. Amelie and a friend of hers braided each other's hair and colored the tips. 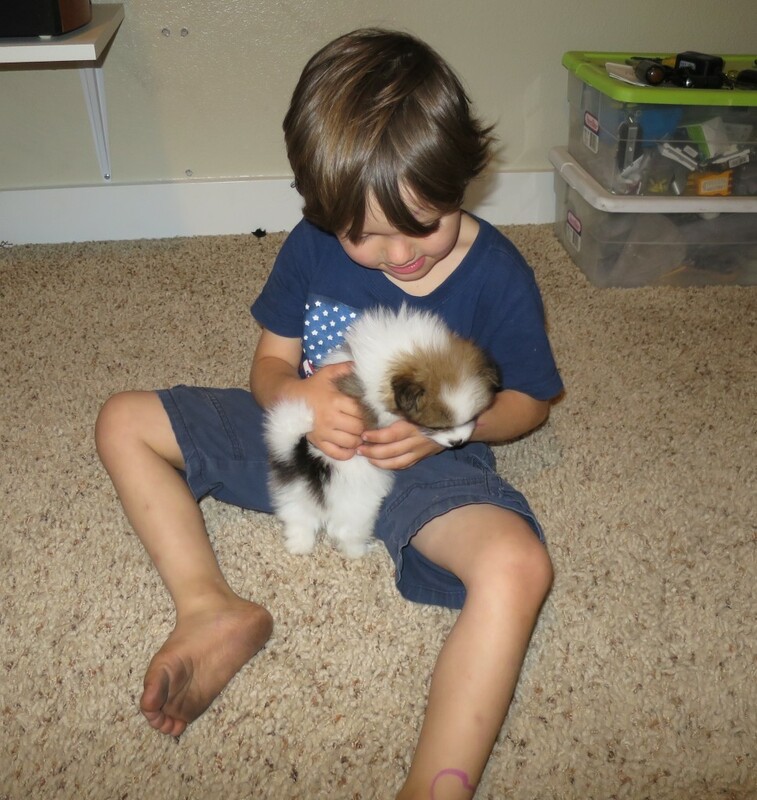 The puppy is so small you can take him anywhere. 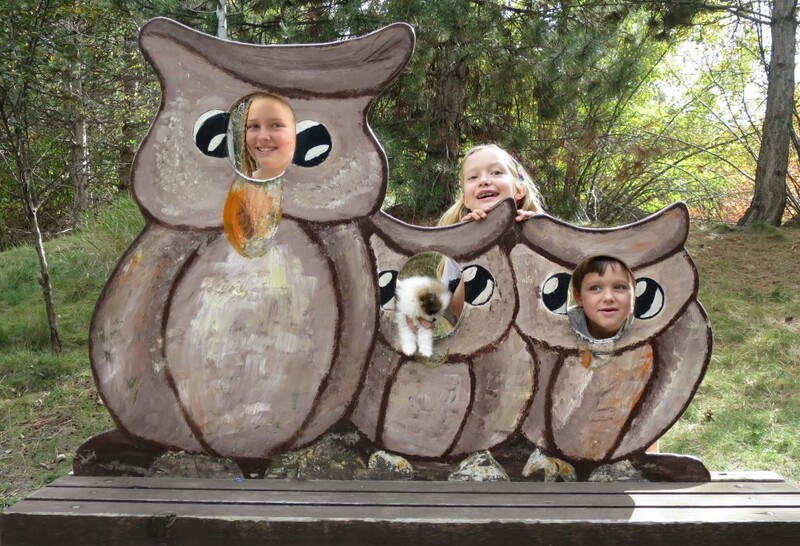 Bunch of owls at the nature center. 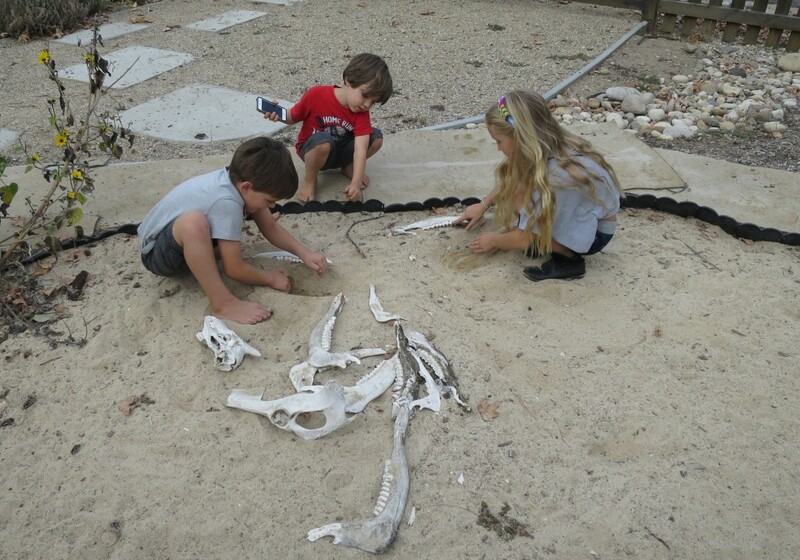 They had some random set of bones sitting in the sand box to play with. I swear, you realize you're not in Huntington Beach when you see something like this. 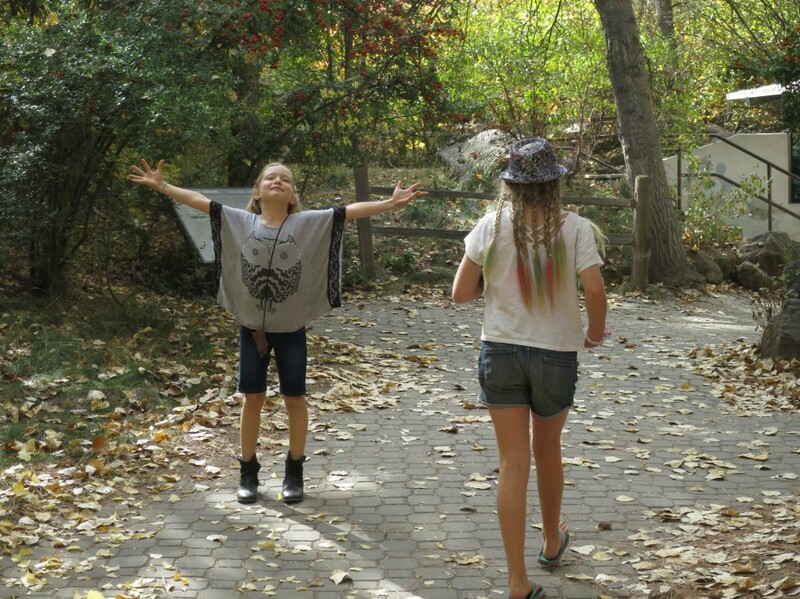 There was a park next to the nature center with a cool playground, and lots of chestnut trees. We found a lot of chestnuts, which reminded me of being in Italy in December and buying chestnuts from street vendors. 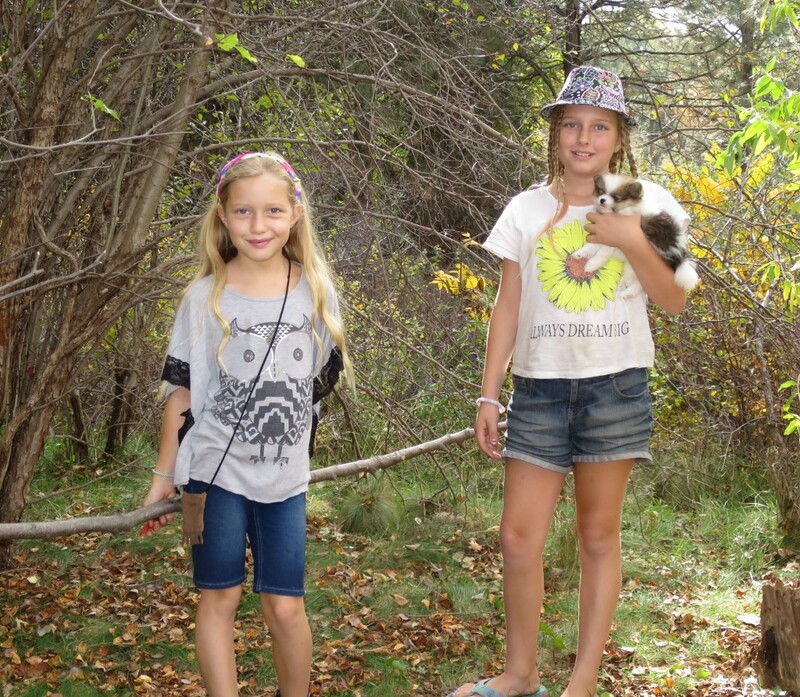 Amelie and Desmond with the puppy. 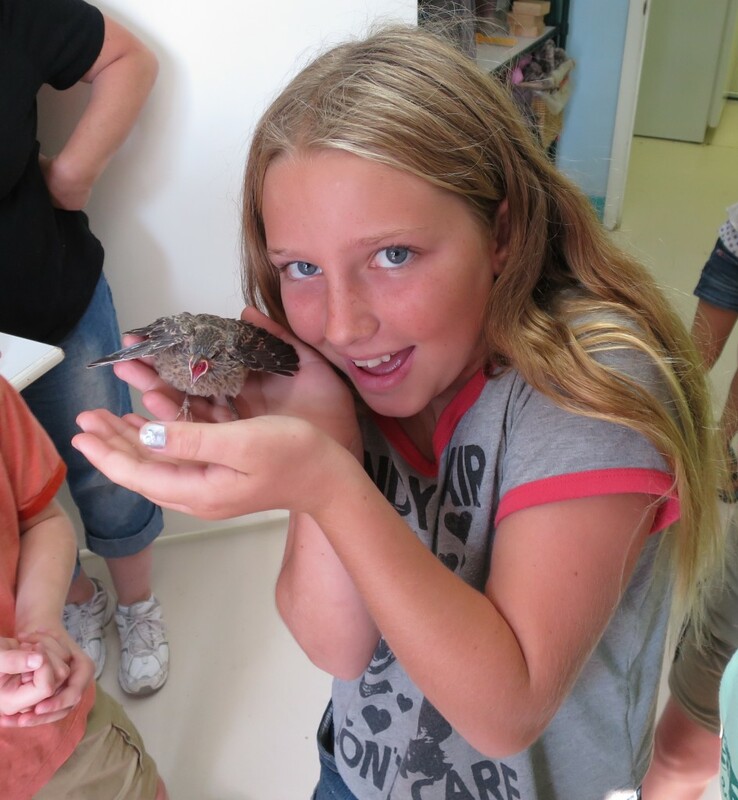 Naomi signed the kids up for a 4H veterinary science class where they get to vaccinate a cat, or in this case, go to the Ruth Melichar Bird Center to see how they help injured birds. 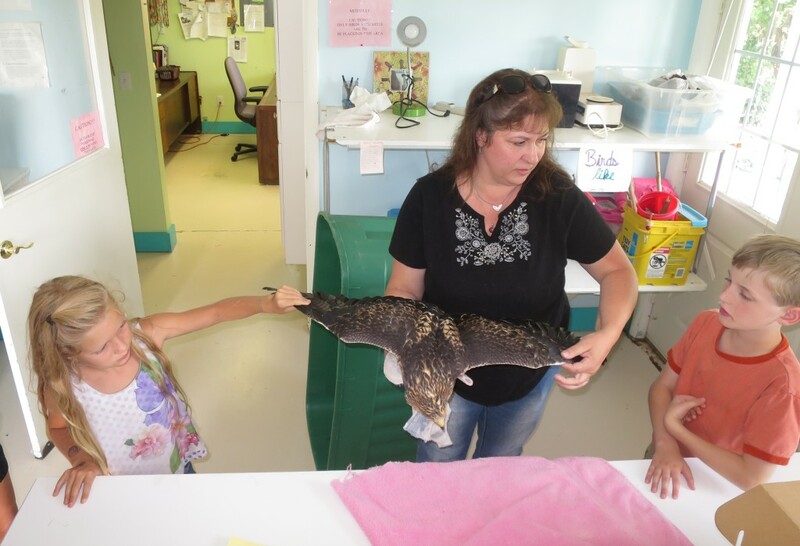 This is an injured hawk that they're working with. They help thousands of birds a year to get well, but it's hard for me to get excited about that when you read about how house-cats kill three billion birds a year. 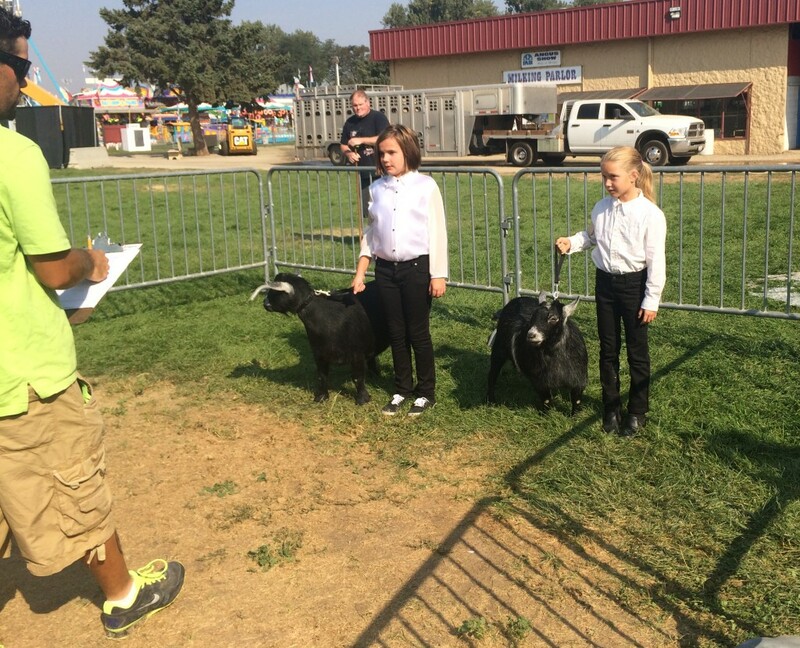 At the Western Idaho Fair the girls take all their 4H knowledge and compete in different categories, with different animals. 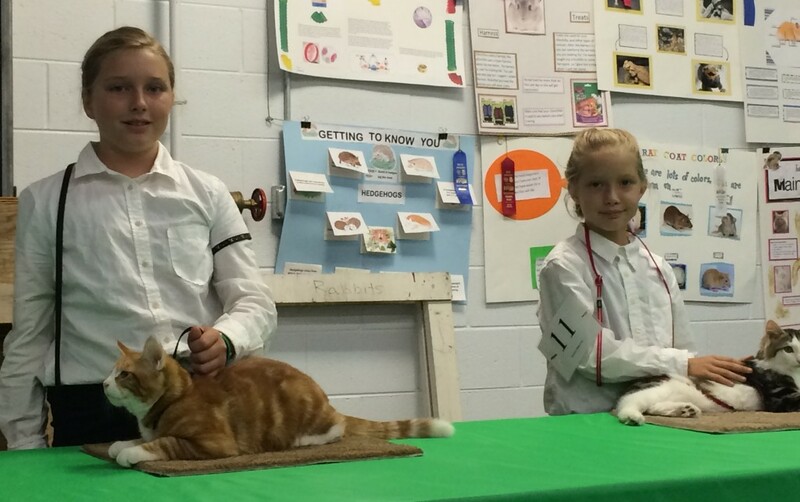 Here the girls are being judged on their cats. 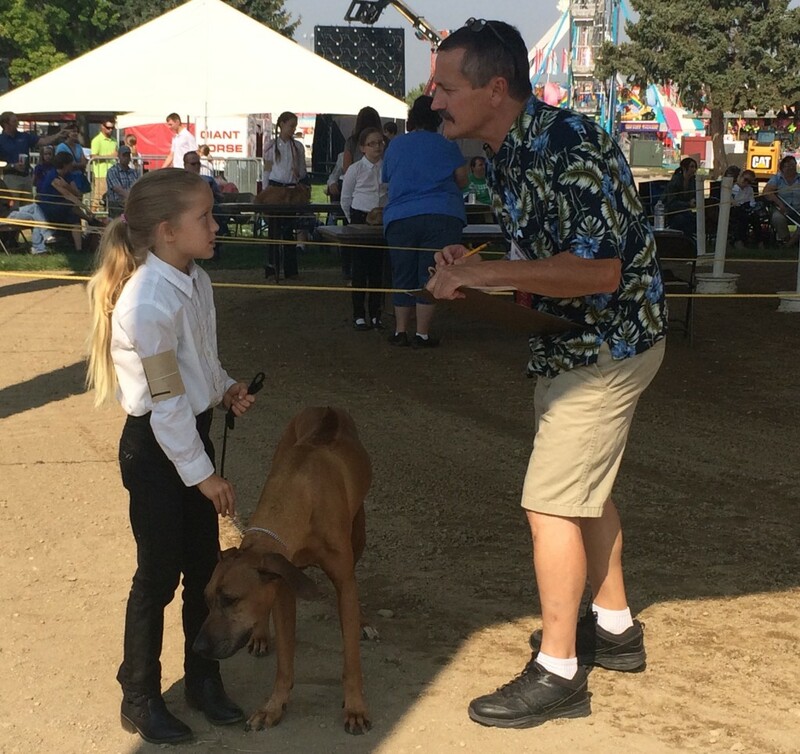 A judge will ask them to show their pet and then ask them questions to see how much they know about that animal. 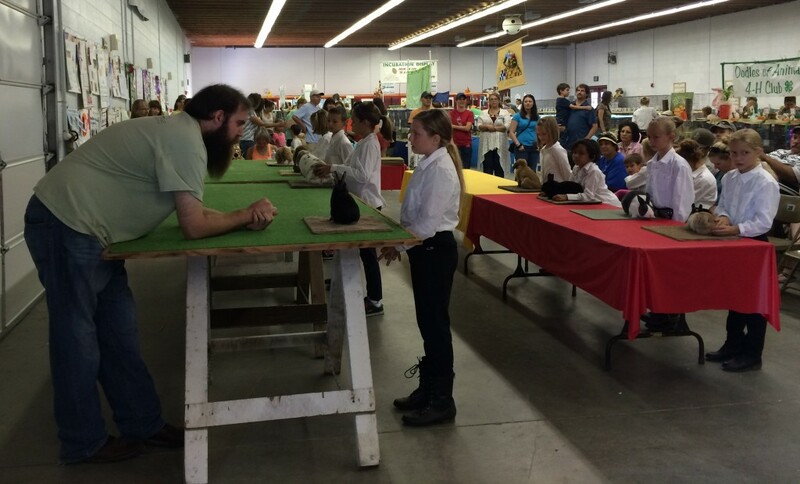 Amelie got first place with her rabbit. Mia even showed her hamster Nibbles, in the pocket pets category. 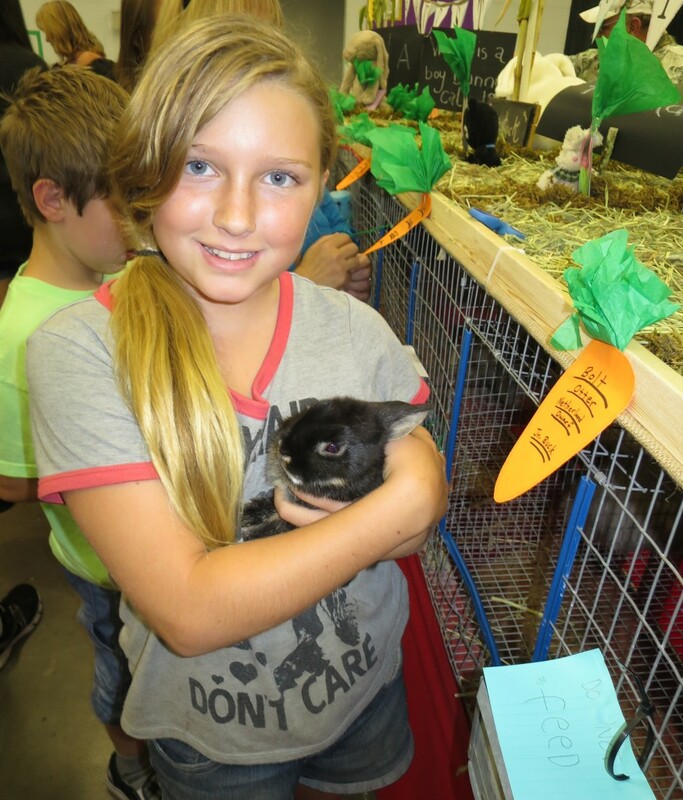 She placed second out of 11 with her hamster and got 4th place for her rabbit. 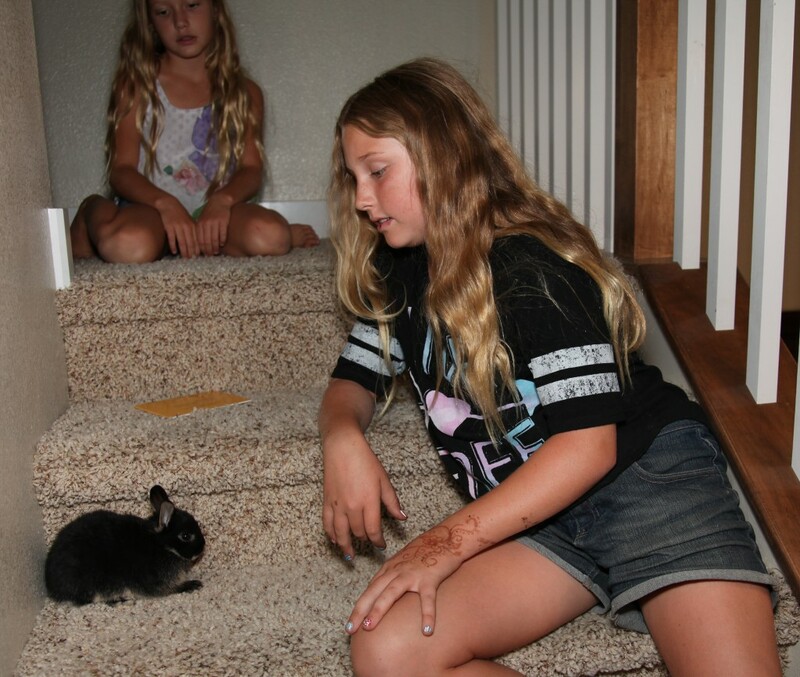 This is Bolt, the rabbit that Amelie showed. Because Lightning had a runny nose (which eventually killed him), Mia entered our other bunny Jack, which is sort of a junk bunny but still did well in the judging. At the end of it they dress their pets up in costumes. This is the brown bunny, Jack. They dressed the cats up as well. 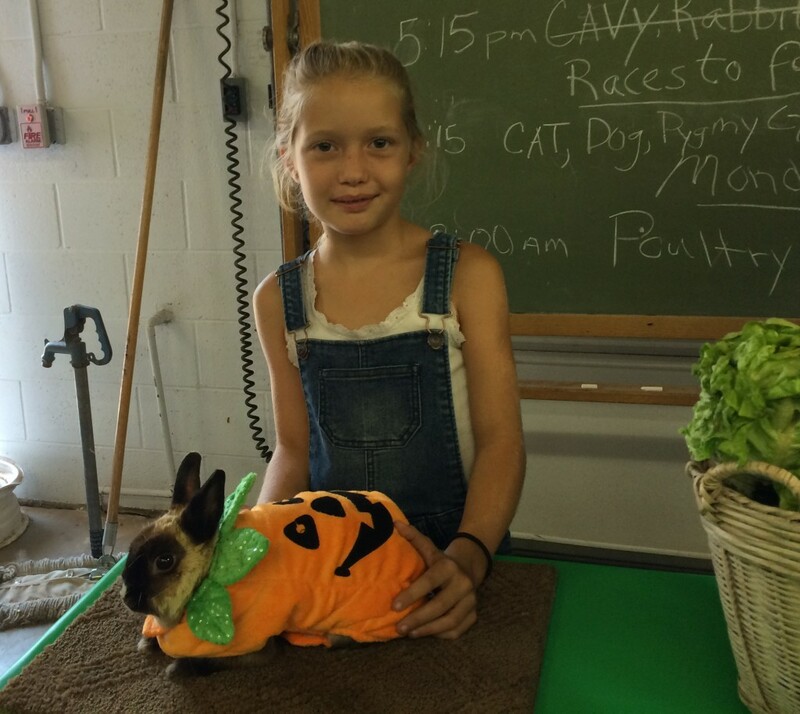 Amelie placed third for the cat costume and second for the rabbit costume. 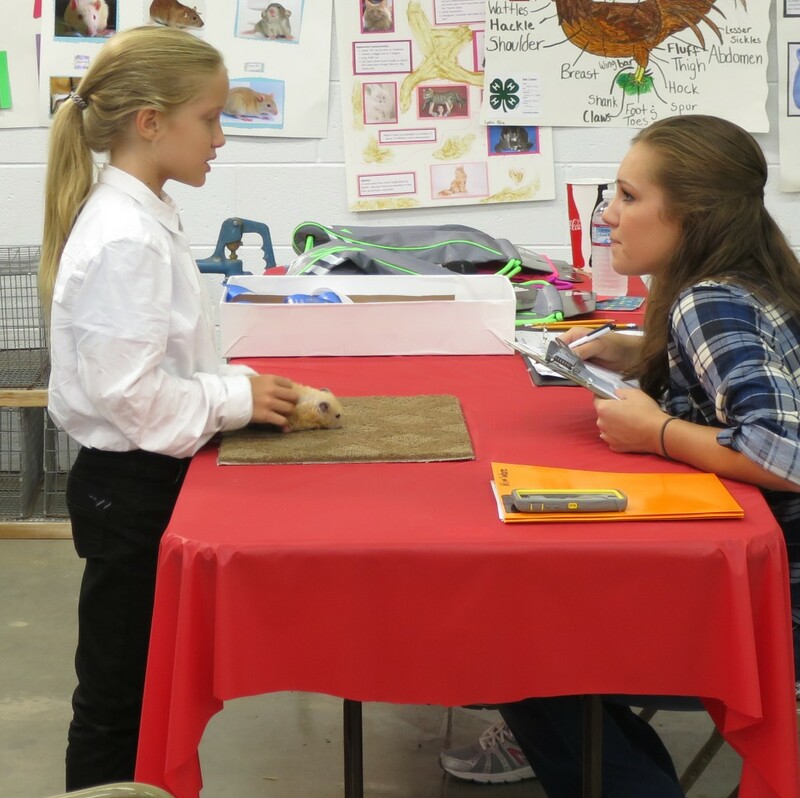 Because the girls placed so high in their categories, they ended up going to round-robin, where you show a whole bunch of different animals (none of them ours). 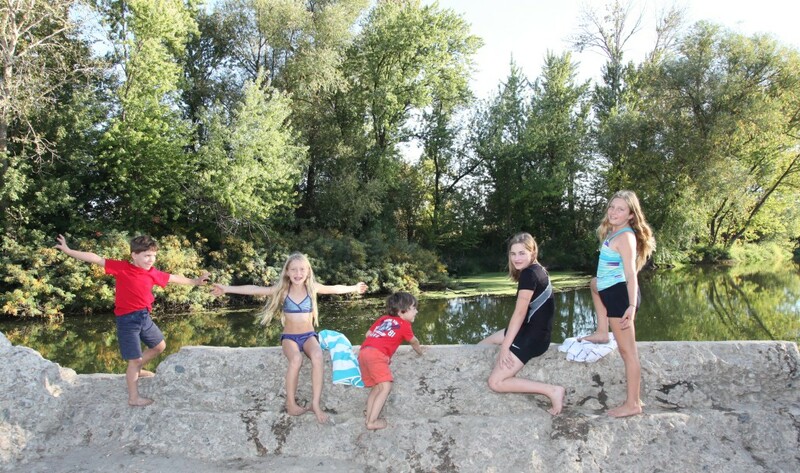 It was difficult to study up on all them in just a couple of days, but they had fun doing it. 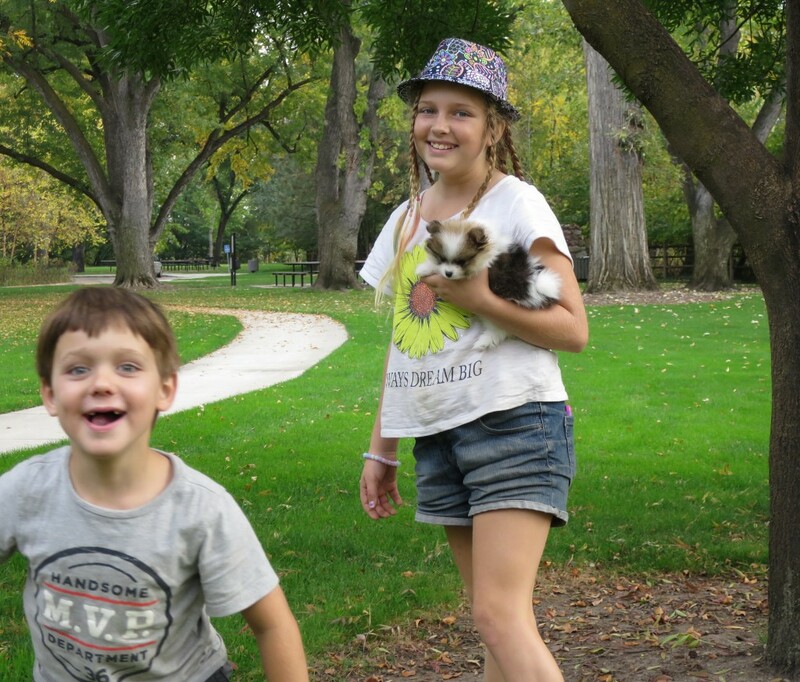 Here Mia is showing a pygmy goat. 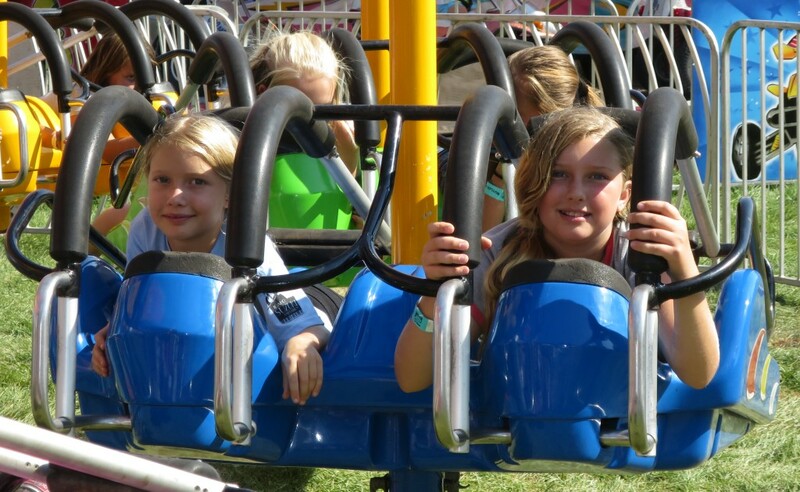 Once the 4H was out of the way, it was time to go play some games and ride some rides at the fair. 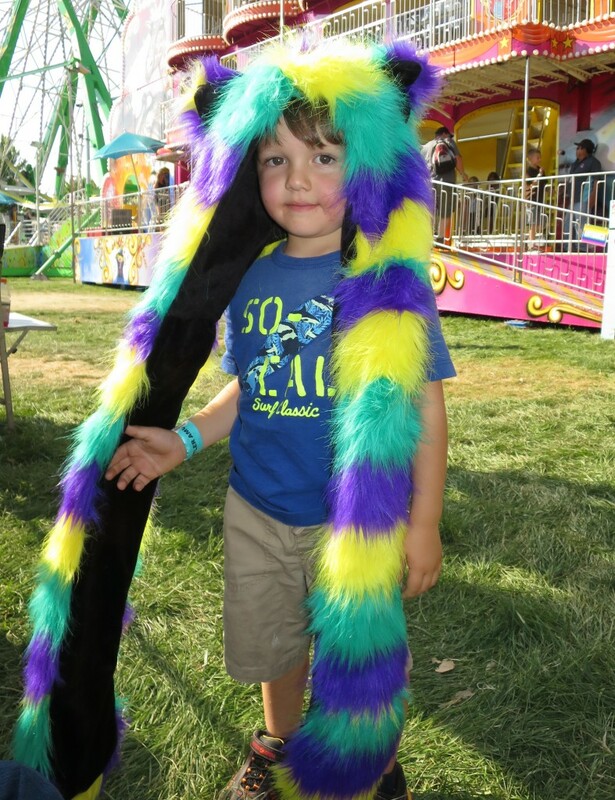 Mia won this furry thing but gave it to Miles. Getting ready to fly high. 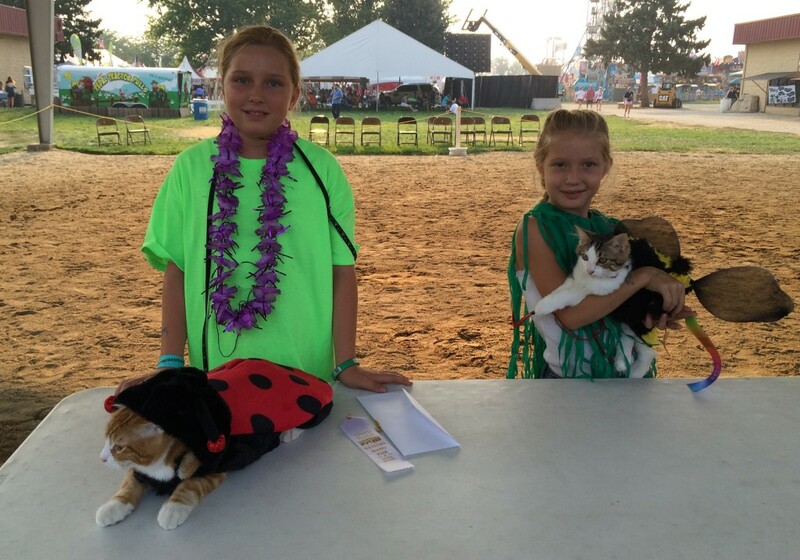 The girls got to participate in a magic show at the fair, it's pretty fun. 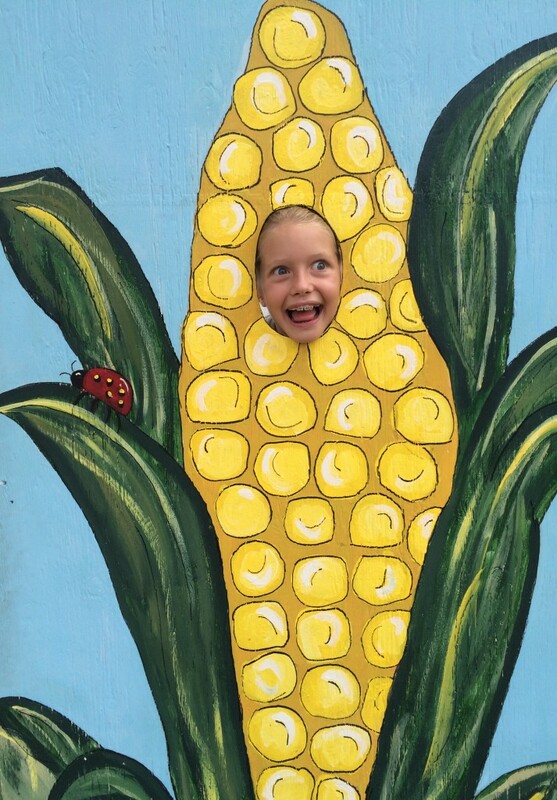 Things got too corny at some point, though. 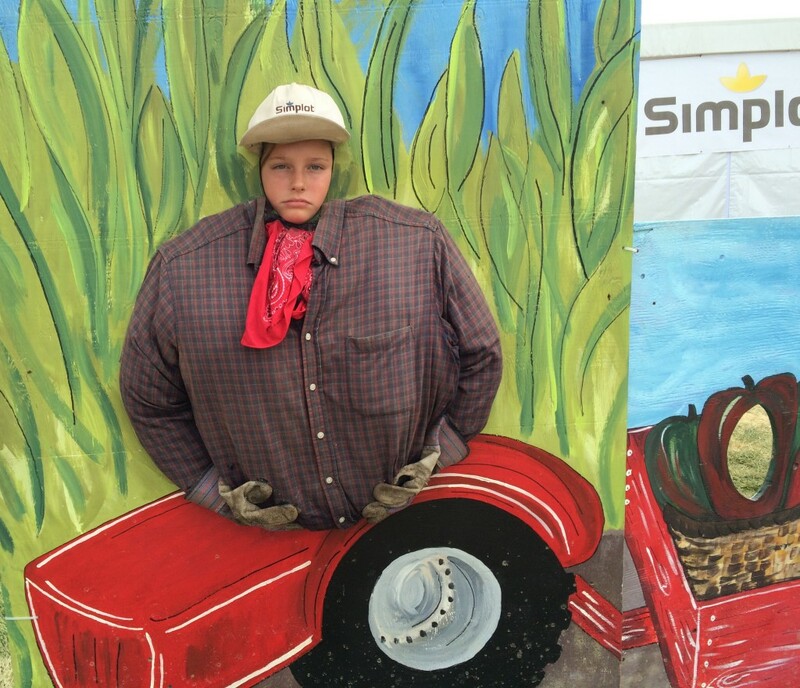 Time for farmer Amelie to pick that corn. 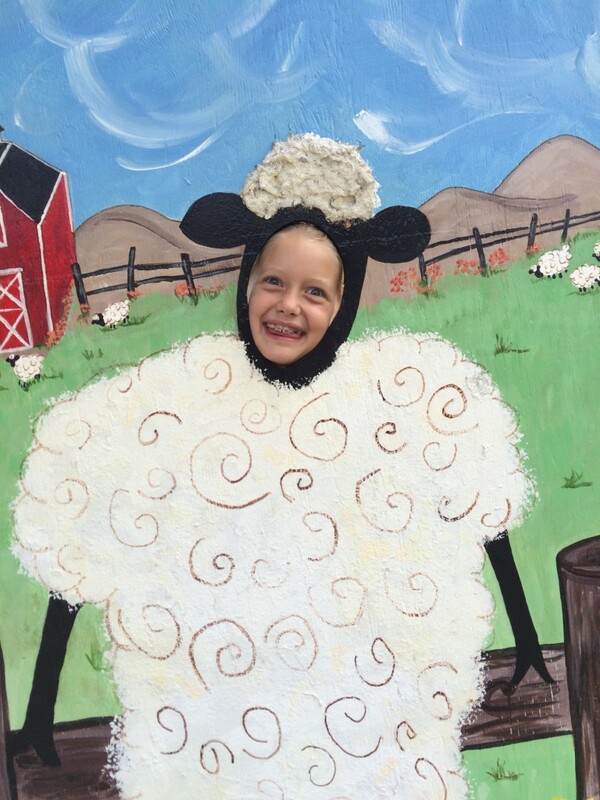 Looks like farmer Amelie has a sheep to shear soon. This is the giant slide at the fair. 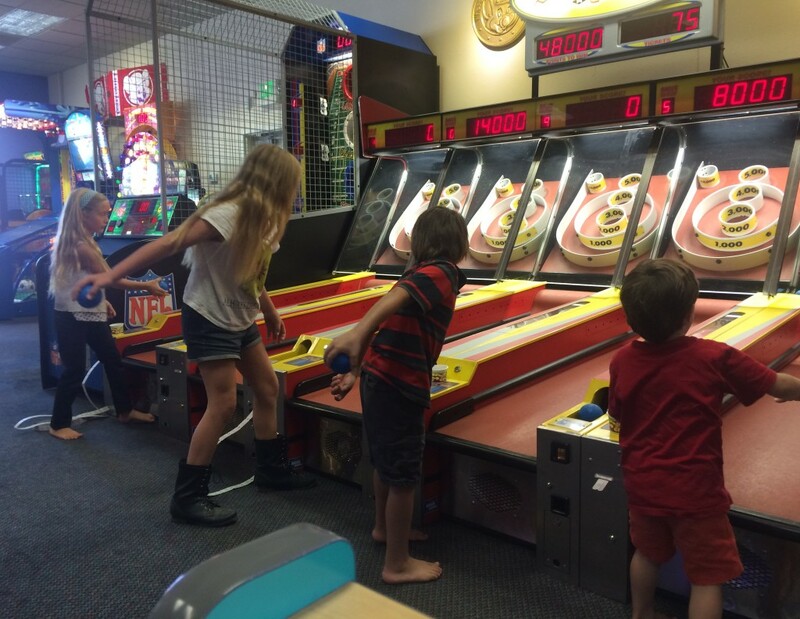 The kids went on it a lot. 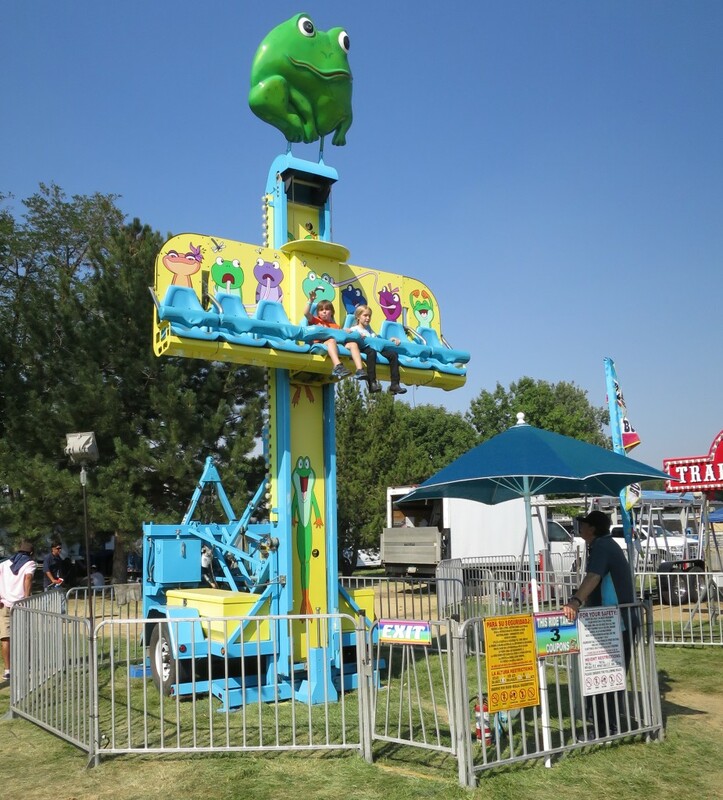 There were a ton of kid rides, all because Boise is so darn family friendly. 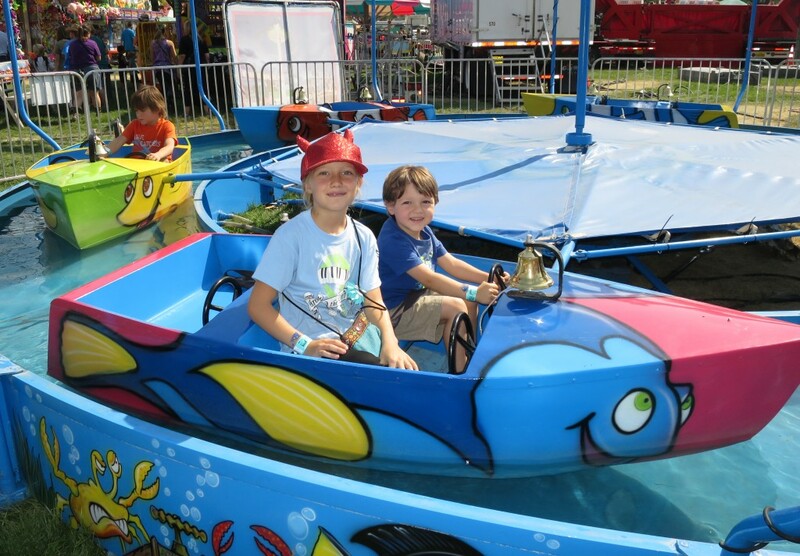 Taking a boat ride at the fair. 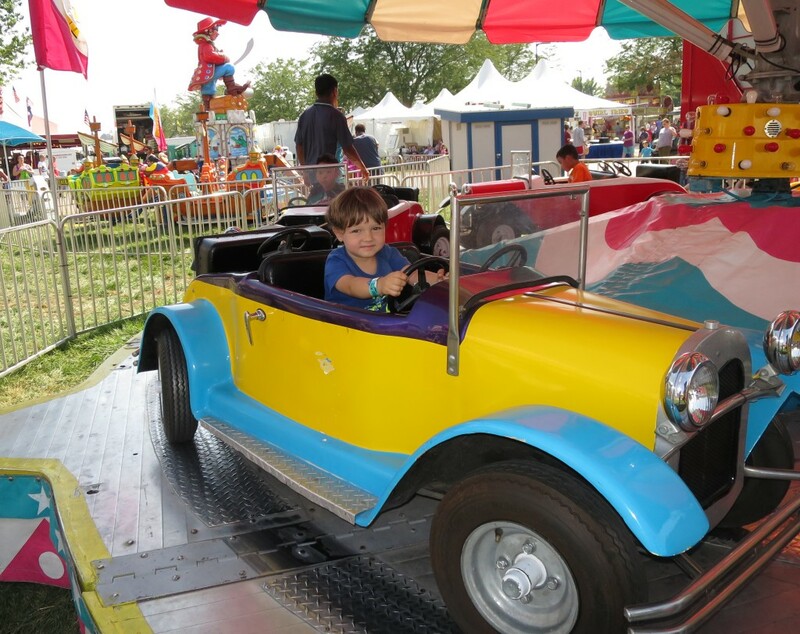 This was Desmond's favorite ride, he went on it over and over again. 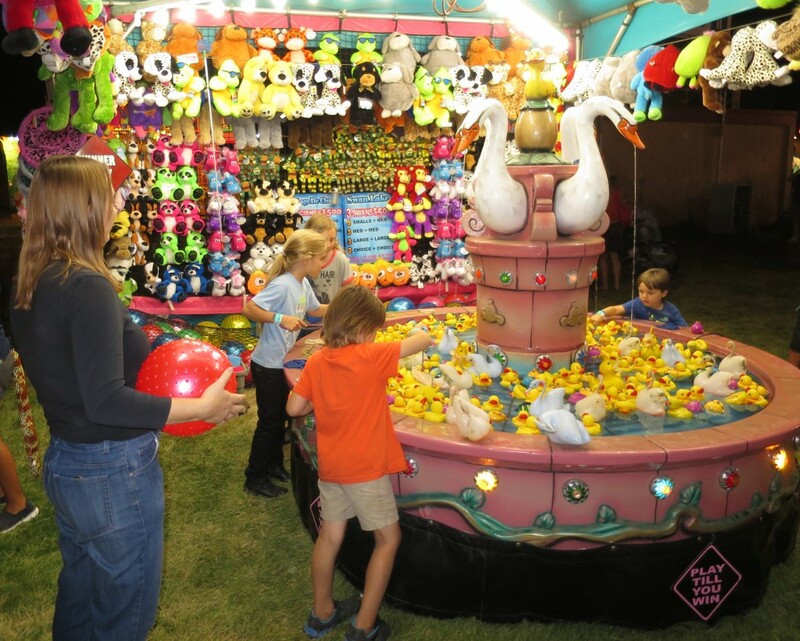 The fair started the weekend before school started, which seemed crazy to me, but whatever. 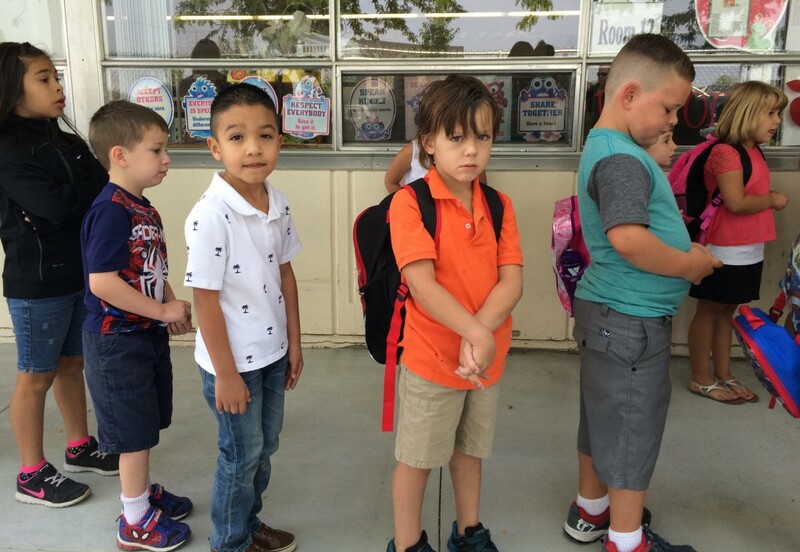 We decided to try and send the kids to school and see what they thought. Think of it as another home-school adventure. Desmond is clearly not happy about this little adventure. He only lasted four days, then we went back to home-schooling. He got kicked out for trying to leave, in fact. 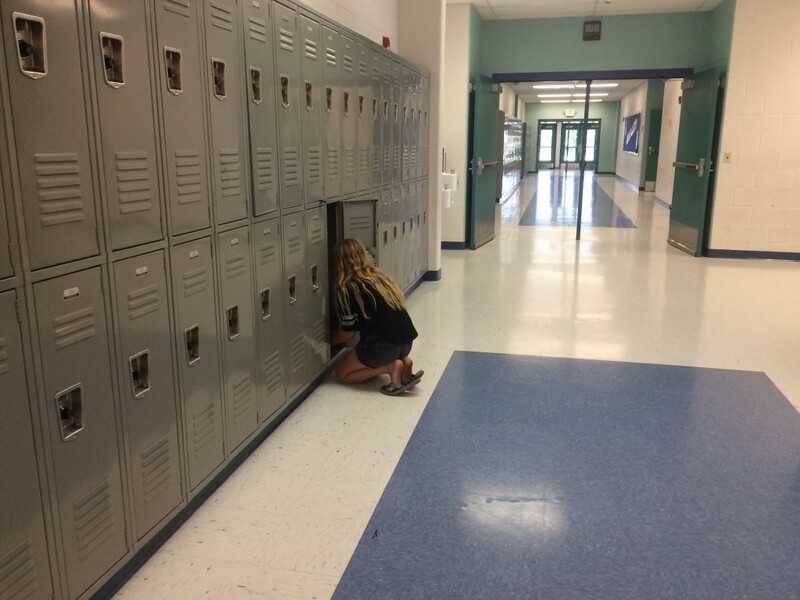 They said the teacher has too many students to deal with a runner so if your kid tries to leave they just boot you altogether. Amelie only lasted one day before deciding that she wasn't having any of it. Mia lasted almost two-weeks, though. 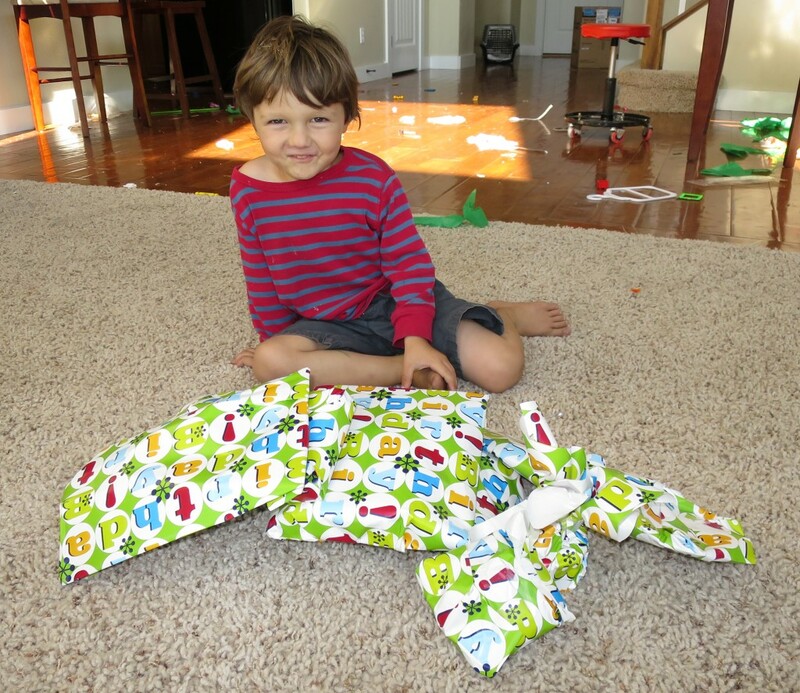 Miles turned four in August, and here he is moments before tearing into his presents. 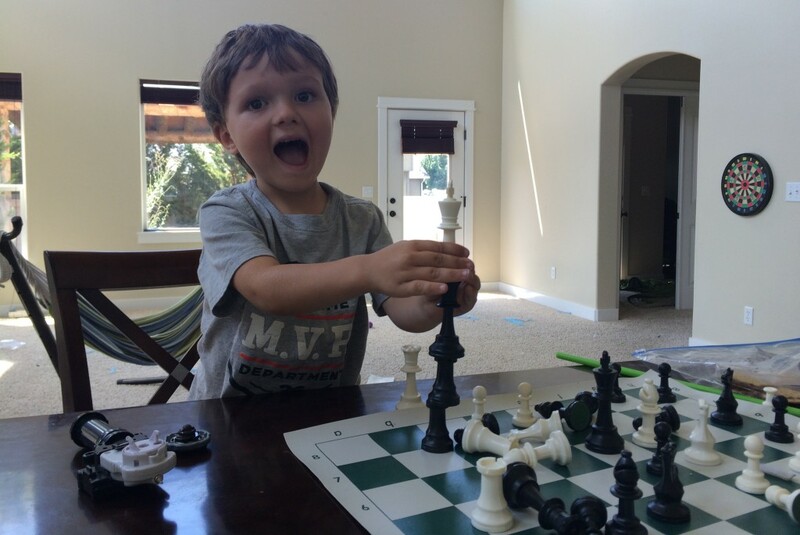 Now that Miles is four, he can play chess with the best of them. Check out all that cool furniture in the background, though. We've been here six months and still haven't bought any furniture. 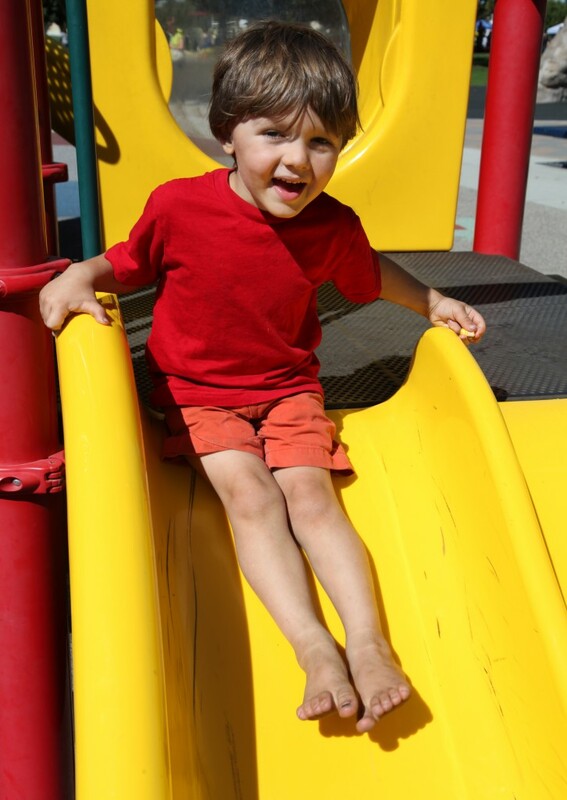 We discovered how much fun a slide and some stairs can be. 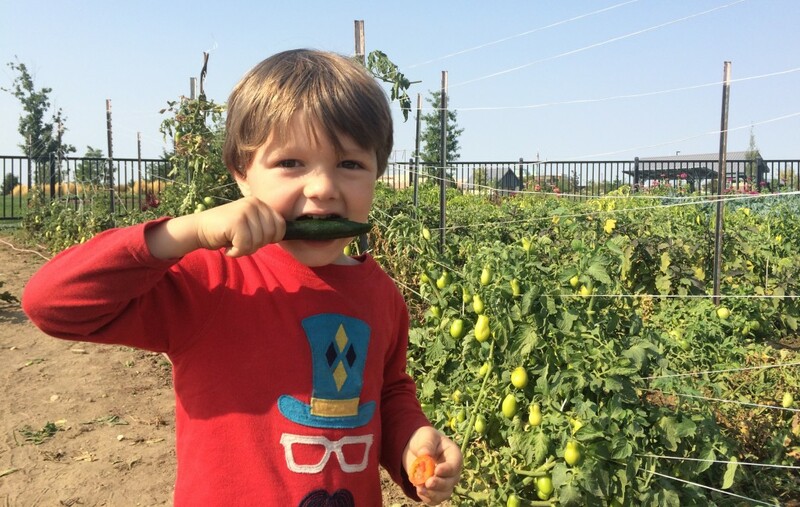 Naomi signed up for the community garden near our house, which worked out great. We did end up with a surprising amount of green chiles, though. 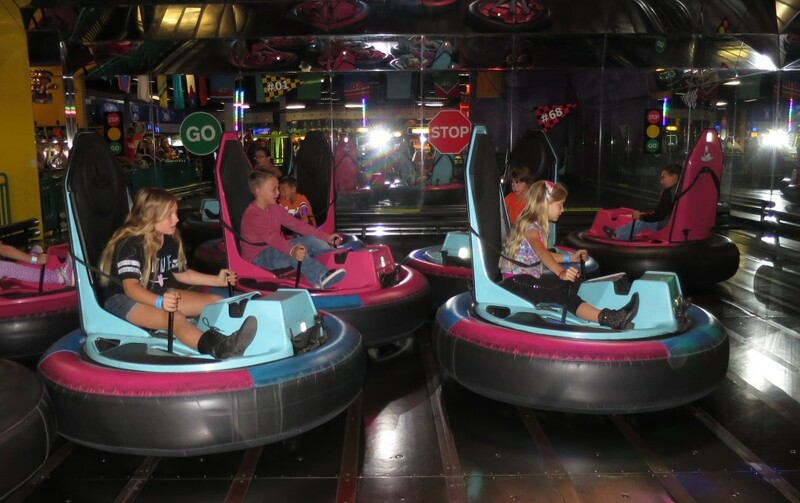 We have a birthday party place near our house so we took the kids and they actually have indoor bumper cars, which were pretty cool. 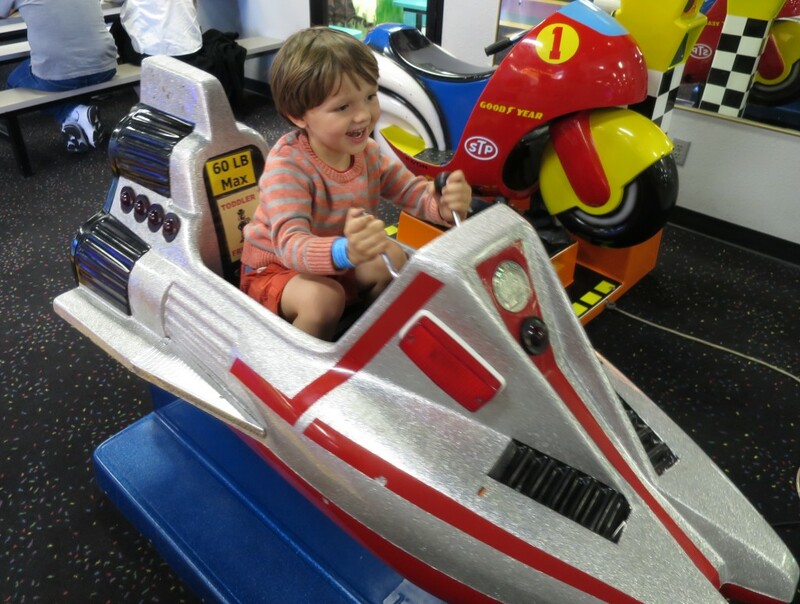 Miles with his rocketship to the moon. 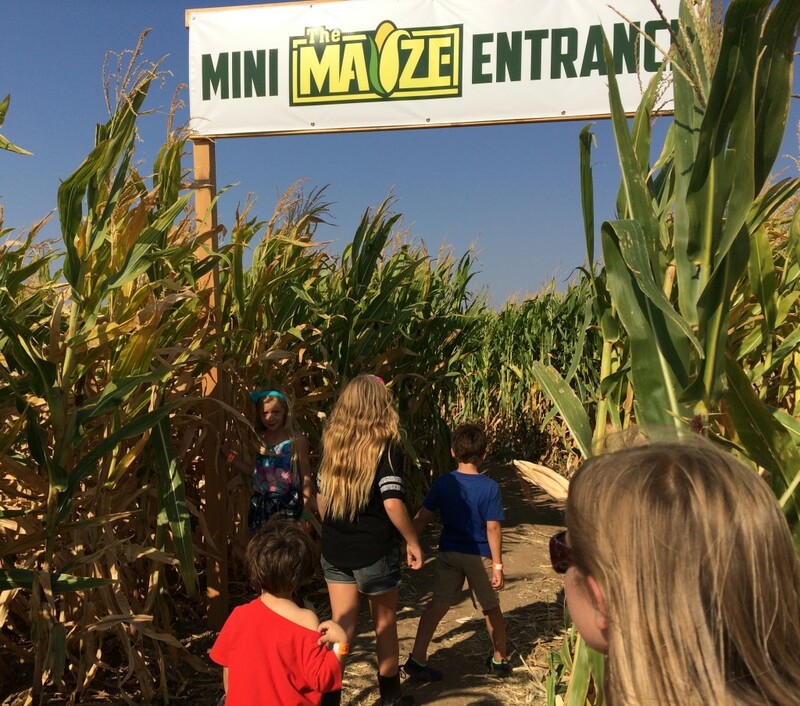 For fall, we took the kids to a corn maze by our house. Another sign you're not in Huntington Beach anymore. 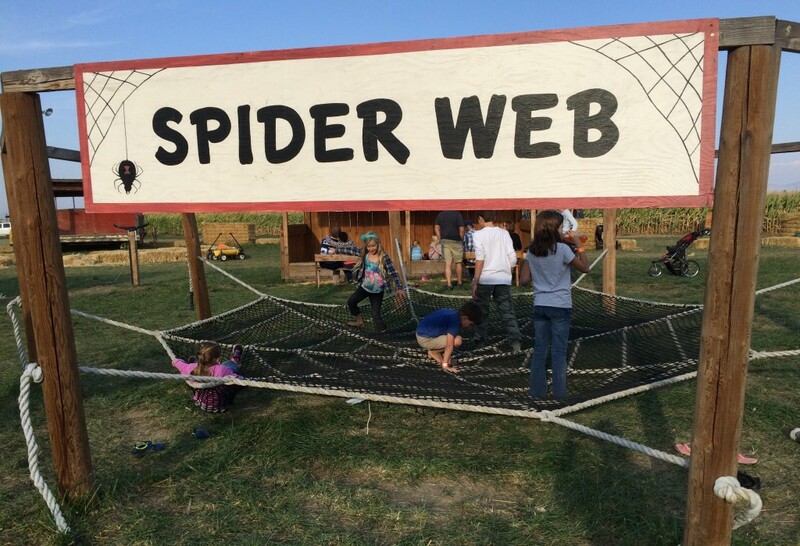 They corn maze had a bunch of other attractions, like this spider web. 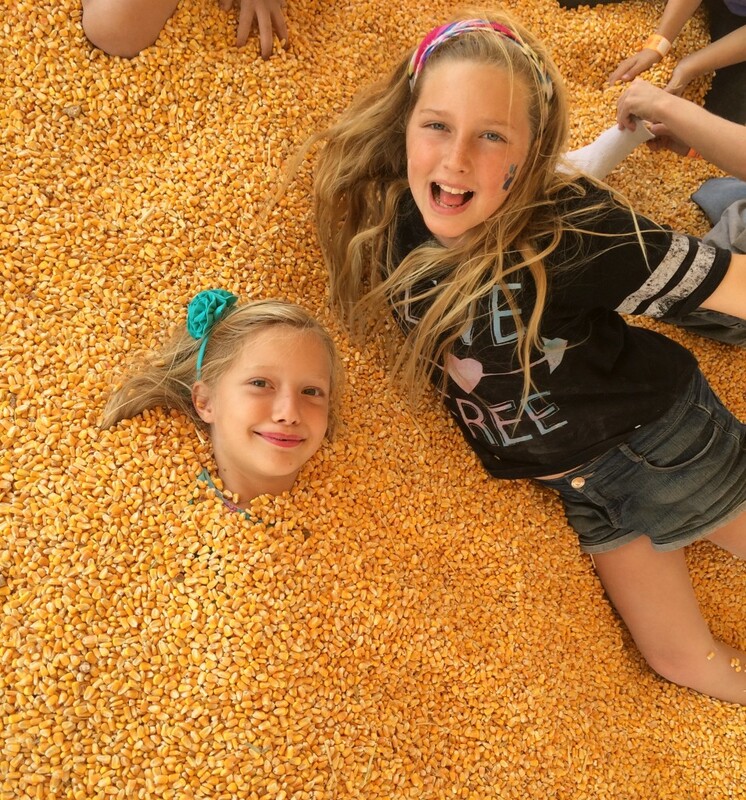 Amelie buried Mia in the corn kernel pit. 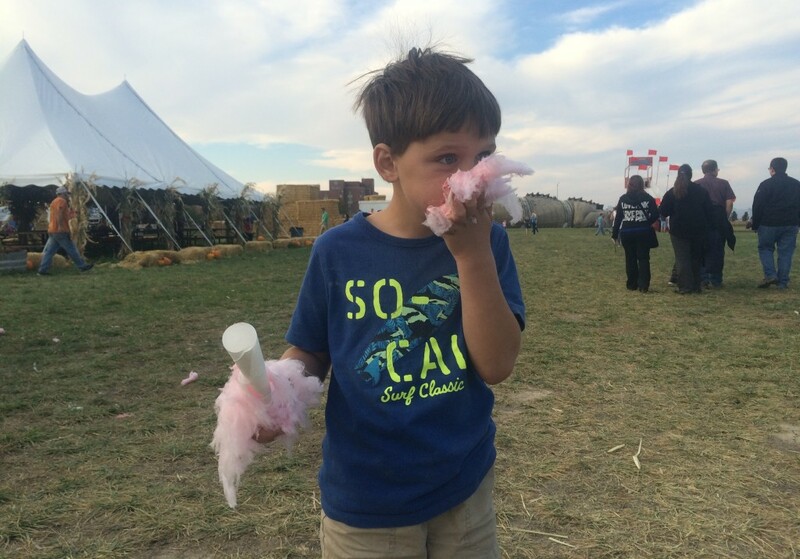 Now this is how you eat cotton candy! Just shovel it in there as fast as it will go. 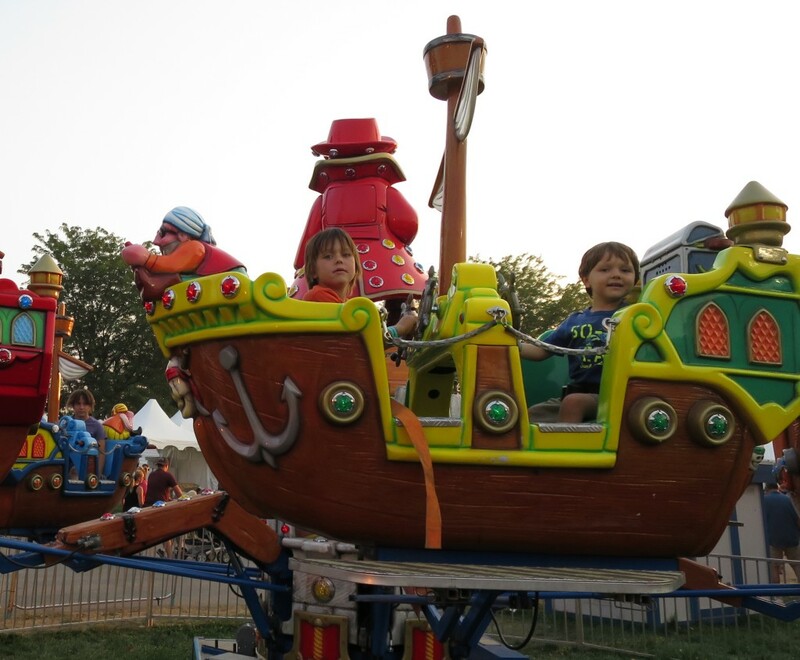 We went to the Millpond Music Festival again this year, and it was awesome. On the way to Millpond we stopped at Lake Mary in Mammoth and rented a boat. 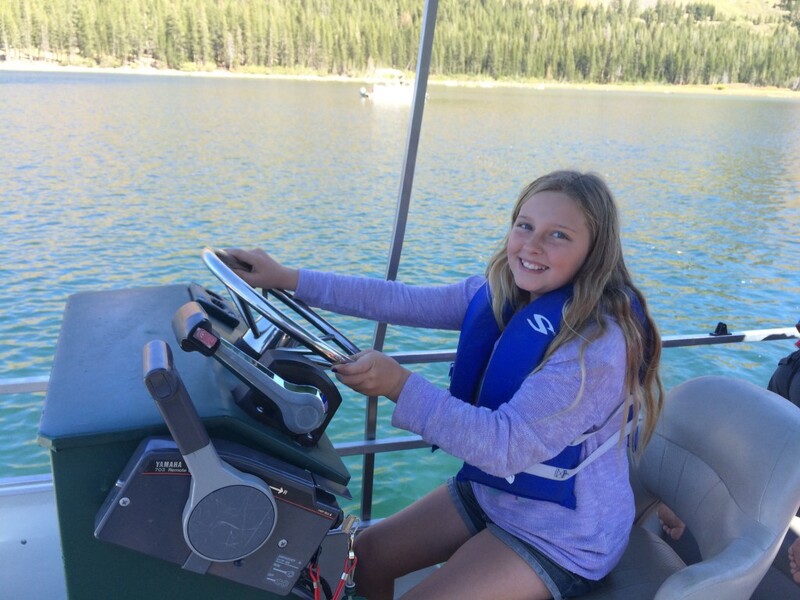 There weren't too many boats on the lake so we let the kids drive the boat and they had a blast. Miles just went in circles the whole time. 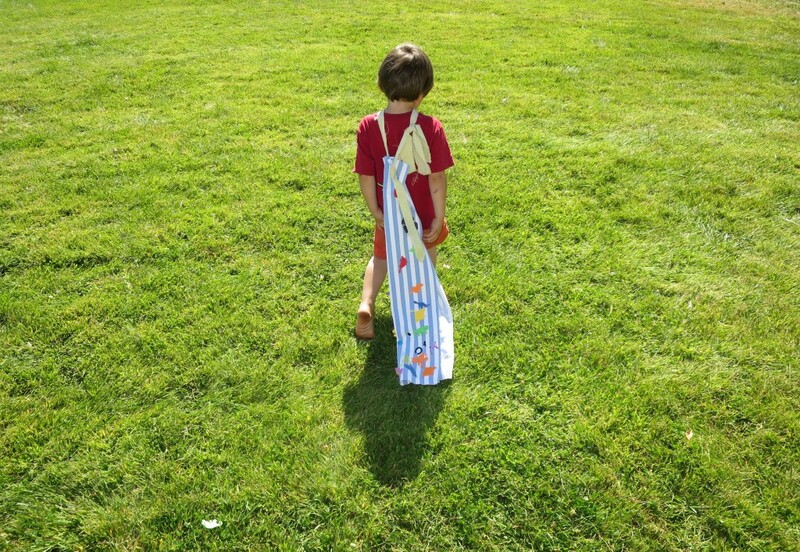 Mia helped Miles make a cape. 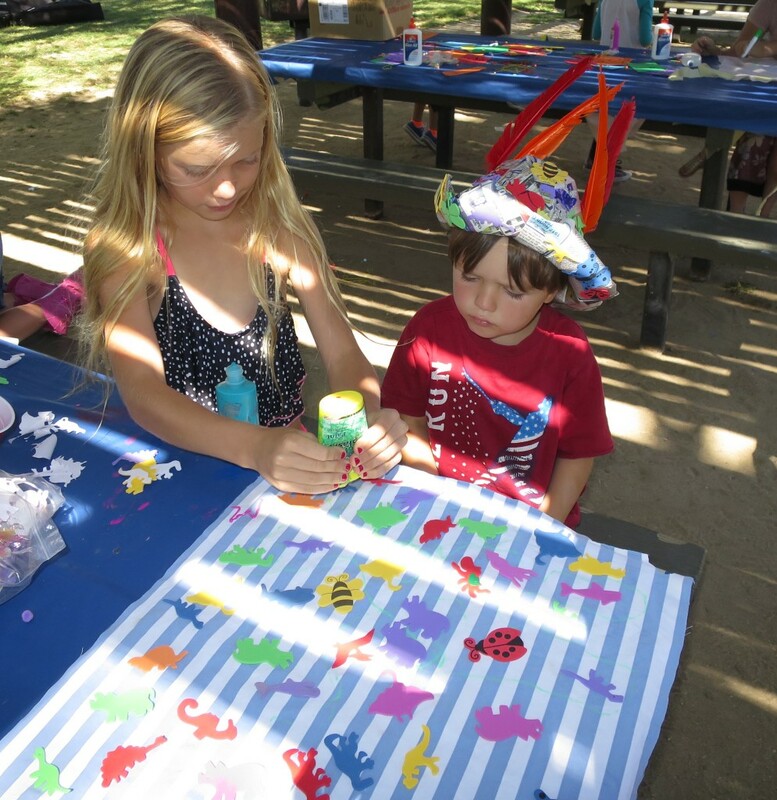 They had a lot of arts and craft areas going. Miles showing off his cool new cape. 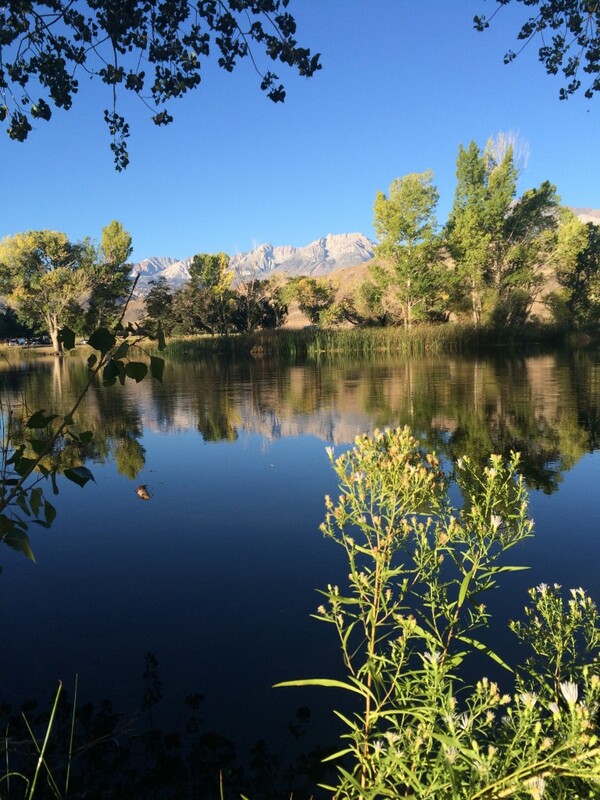 Naomi took this picture of the pond with her iPhone. We brought boats and tubes to float the pond. 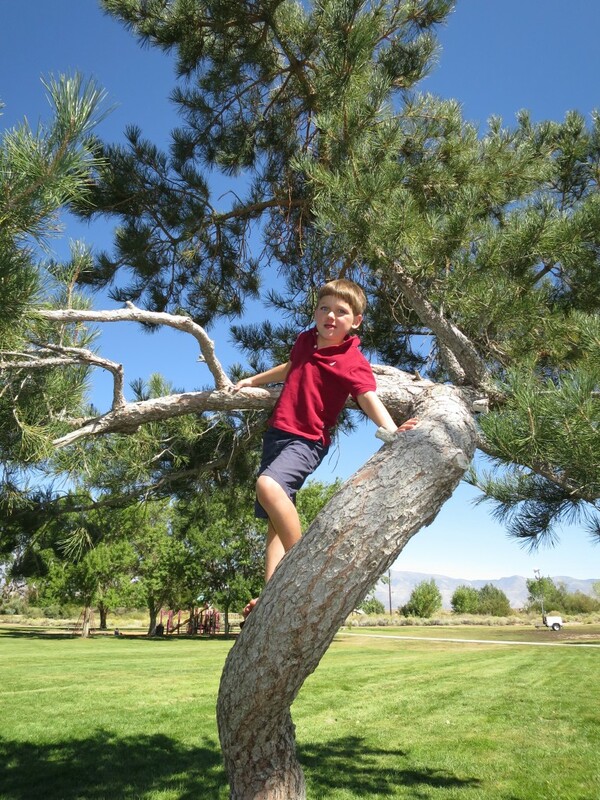 Desmond in one of the many climbing trees around. Until next time, love your puppies!